Amrita Vidyalayam, a national network of value based schools managed by Mata Amritanandamayi Math. There are 55 schools in India and of these two are there Bengal. One in Kolkata and other in Durgapur. These schools are affiliated to Central Board of Secondary Education (CBSE). 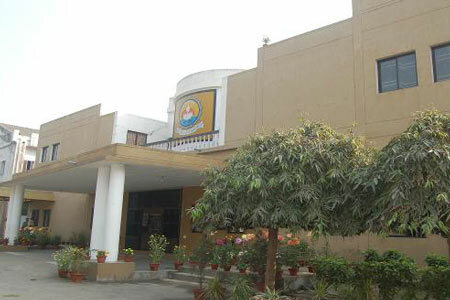 First Amrita Vidyalayam was at Bidhan Nagar, Durgapur in a sprawling five acres campus in June, 2003. Five more acres were later acquired in the same area for setting up a graduate college. Amma wants children to have the best possible education — an education that helps them to develop physically, mentally, socially and spiritually. To educate is to inspire – inspire thought and wonder about the world around us. Education is a responsibility that goes beyond putting numerous historical dates and scientific facts into the child’s mind. Meek acceptance of facts, unquestioned assimilation of concepts, or the mechanical re-presentation of facts from memory – if such shallowness was meant, education would hardly have taken the world to where it is now. The Math also runs a free school for the poor children of the housing colony constructed at Amrabati, Durgapur.